All too often incoming students leave library orientation sessions feeling overwhelmed and overstressed, which results in the library becoming one more intimidating obstacle to them. However, this does not need to be the case. 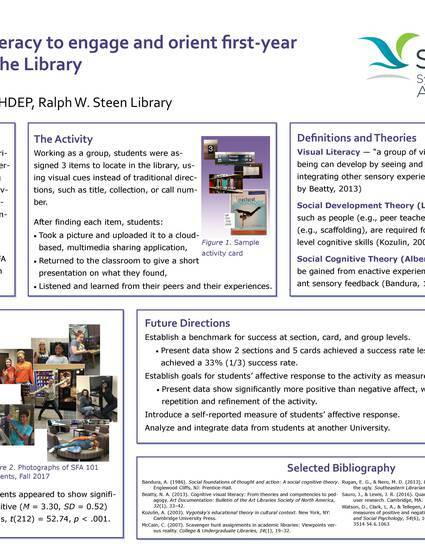 Visual literacy and visual culture can be leveraged to engage students and improve library orientation sessions.